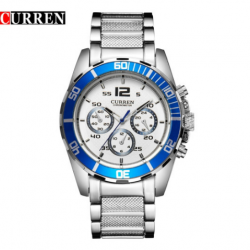 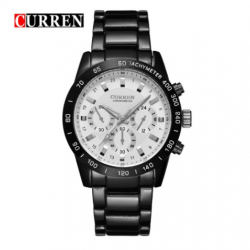 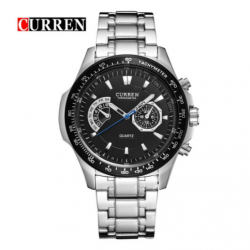 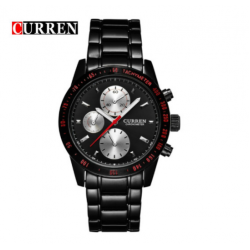 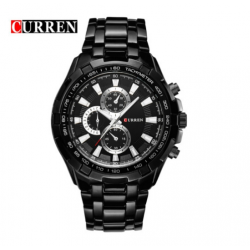 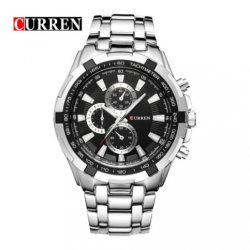 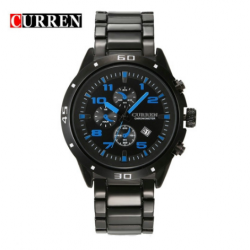 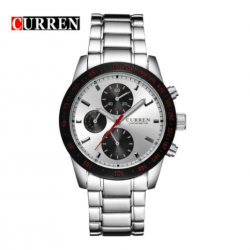 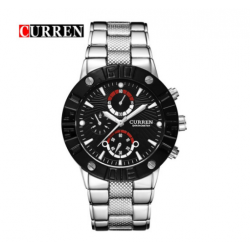 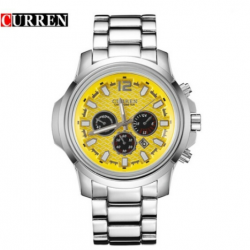 Style: Business Brand: CURREN Gender: Men Movement: Quartz Dial Display: Analog Function: Complete Calendar Watch Band Material: Alloy Dial Window Material: Glass Case Shape: Round Case Material: Alloy Size:(Approximate)-Dial Diameter: 48mm-Band Width: 22mm-Band Length: 210mm-Case .. 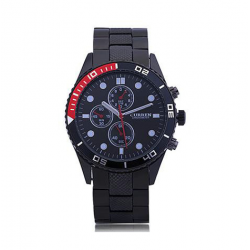 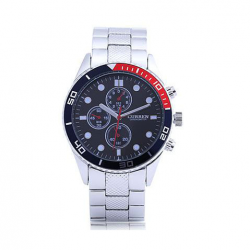 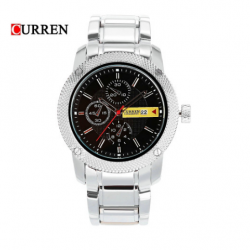 Style: Business, Casual Brand: CURREN Gender: Men Movement: Japanese Quartz Dial Display: Analog Watch Band Material: Alloy Dial Window Material: Glass Case Shape: Round Case Material: AlloySize: ( Approximate )Dial Diameter:42mmBand Width:22mmBand Length:21cmCase Thickness:11mmWeight:135g/Pcs.. 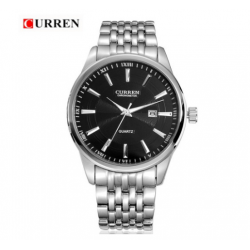 Style: Business, Casual Brand: CURREN Gender: Men Movement: Japanese Quartz Dial Display: Analog Function: Complete Calendar Watch Band Material: Alloy Dial Window Material: Glass Case Shape: Round Case Material: Alloy Size:(Approximate)-Dial Diameter:42mm-Band Length: 220mm-Weight:130g/PCS.. 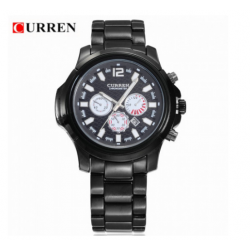 Style: Business, Casual Brand: CURREN Gender: Men Movement: Japanese Quartz Dial Display: Analog Band Material: Alloy Dial Window Material: Glass Case Shape: Round Case Material: Alloy Size:(Approximate)-Dial Diameter:43mm-Band Length:220 mm-Weight:147g/PCS.. 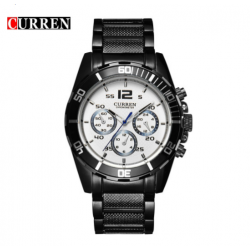 Style: Business, Casual Brand: CURREN Gender: Men Movement: Japanese Quartz Dial Display: Analog Function: Auto Date Watch Band Material: Alloy Dial Window Material: Glass Case Shape: Round Case Material: AlloySize:(Approximate)-Dial Diameter:45mm-Band Width: 22mm-Band Length:210mm-Case Thickness:12.. 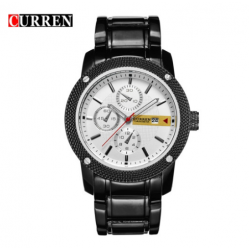 Style: Business Brand: CURREN Gender: Men Movement: Japanese Quartz Dial Display: Analog Watch Band Material: Alloy Dial Window Material: Glass Case Shape: Round Case Material: AlloySize:(Approximate)-Dial Diameter:46.5mm-Band Width:22 mm-Band Length:210mm-Case Thickness:15mm-Weight:160g/pcs.. 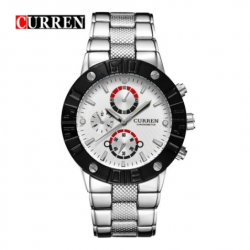 Style: Business Brand: Carrian - CURREN Gender: Men's Movement: Quartz Display: Long and Short Pointer Function: Timing Strap Material: Stainless Steel Table Mirror Material: Glass Surface Shape: Round Case Material: Alloy Dimensions : ( approximate )- Dial diameter : 42mm- Strap width : 22mm- Strap.. 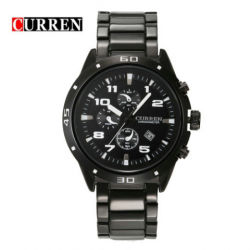 Style: Business Brand: CURREN Gender: Men Movement: Japanese Quartz Dial Display: Analog Watch Band Material: Alloy Dial Window Material: Glass Case Shape: Round Case Material: AlloySize:(Approximate)-Dial Diameter:44mm-Band Width: 22mm-Band Length:230mm-Case Thickness:12mm-Weight:143g/pcs.. 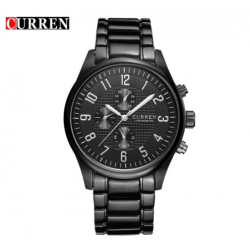 Style: Business, Casual Brand: CURREN Gender: Men Movement: Japanese Quartz Dial Display: Analog Function: Auto Date Watch Band Material: Alloy Dial Window Material: Glass Case Shape: Round Case Material: Alloy Size:(Approximate)-Dial Diameter:44mm-Band Length: 245mm-Weight:125g/PCS.. 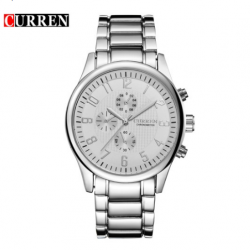 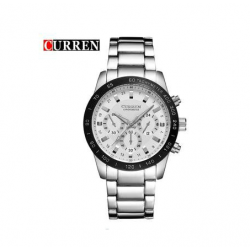 Style: Casual Brand: Carrian - CURREN Gender: Ladies, Men's Movement: Quartz (Japan) Display: Long and short pointer Function: Calendar strap Material: Alloy Table Mirror Material: Glass Surface Shape: Round Case Material: AlloyDimensions: (approximate) - Case diameter: 45 mm - Strap width.. 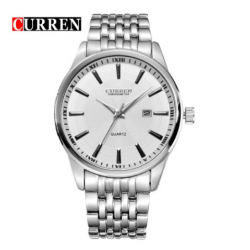 Style: Business, Casual Brand: CURREN Gender: Men Movement: Japanese Quartz Dial Display: Analog Function: Water Resistant, Complete Calendar Watch Band Material: Alloy Dial Window Material: Glass Case Shape: Round Case Material: Alloy Size:(Approximate)-Dial Diameter:44mm-Band Width:22mm-Band Lengt.. 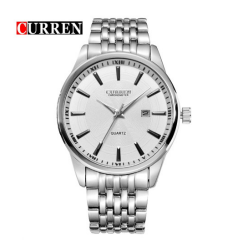 Style: Business, Casual Brand: CURREN Gender: Men Movement: Japanese Quartz Dial Display: Analog Function: Water Resistant Watch Band Material: Alloy Dial Window Material: Glass Case Shape: Round Case Material: Alloy Size:(Approximate)-Dial Diameter:43mm-Band Width:23mm-Band Length:21mm-Case Thickne..